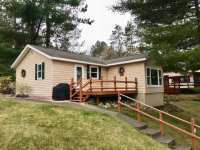 A FANTASTIC SHISHEBOGAMA CHAIN HOME THAT HAS BEEN TOTALLY RENOVATED AND EXUDES THAT QUINTESSENTIAL NORTHWOODS CABIN FEEL. LARGE BEDROOMS CAN COMFORTABLY ACCOMMODATE LOTS . . .
LAKE SHISHEBOGAMA PART OF THE SHISHEBOGAMA/GUNLOCK CHAIN IN MINOCQUA, WI FEATURING 964 AC OF WATER . . . TOTALLY UNIQUE LOCATION TO BE PART OF THE RUSTIC RETREAT HOMES ON SHISH AND GUNDLOCK LAKE ALMOST 1000 ACRES OF WATER. 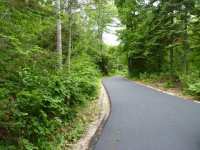 SITE #1 IS INCLUDED ALONG WITH AN ADJOINING LOT, . . .
LAKE SHISHEBOGAMA IS A 716 ACRE LAKE CONNECTED TO 264 ACRE GUNLOCK LAKE & OFFERS A WIDE VARIETY OF . 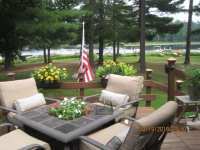 . .
146 Listings in Minocqua WI ..